Wow - seriously? Where did the time go? I am soooo embarrassed that I have neglected my blog so much! No worries! Today I have some eye candy for you - in the form of a layout! 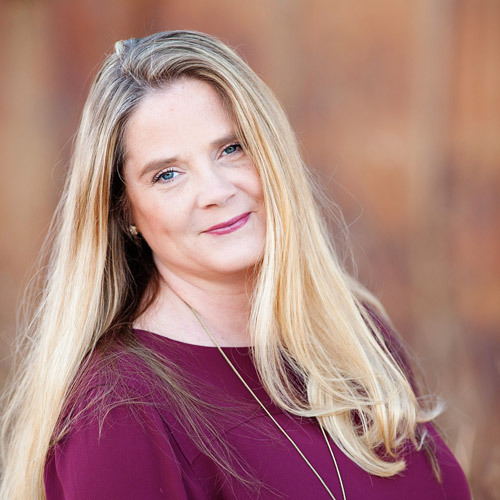 Paper Issues has issued the next challenge & its numbers! The theme is 'we've got your number' - and you can use this theme any way you'd like! 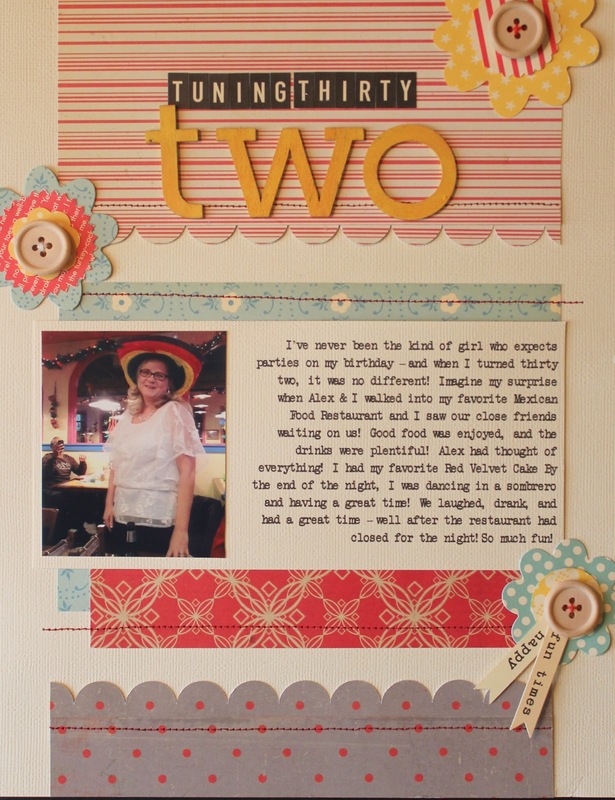 For me, I am using the theme literally by scrapbooking a layout about me turning 32. Ive never been the kind of girl who expects parties on my birthday - and when I turned thirty two, it was no different! So imagine my surprise when Alex and I walked into my favorite Mexican food restaurant and I saw our close friends waiting on us! Good food was enjoyed and the drinks were plentiful! Alex had thought of everything! I had my favorite Red Velvet Cake (made by my favorite bakery, no less) By the end of the night, I was dancing in a sombrero and having a great time! We laughed, drank and had a great time - well after the restaurant had closed for the night! This was one of my best birthdays! I had such a good time! 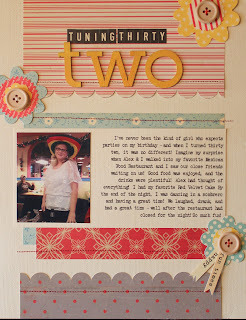 For this page, I used an addon from the Studio Calico Handmade Kit. I really enjoyed making this page. Its been so long since I have scrapped, that this was a nice 'welcome back' layout for me! Go link up all the layouts to the Paper Issues We've Got Your Number Challenge! If you do, post a link to your layout so I can leave you some blog love!